dog cuddling mat for a nap or just hanging with the family. It also acts as loveable friend for those first formative years. 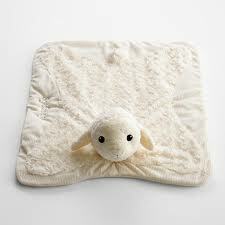 The adorable cuddling mats have embroidered accents that are baby safe and they are machine washable. You can even have the mat personalized with up to 15 letters. These mats are available at RedEnvelope.com for around $40.